*This year’s transformational and empowering event, Black Girls Rock! Is set to take place this weekend at the Paradise Theater in the Bronx, NY. 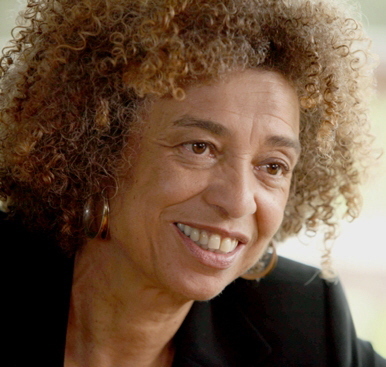 Among the honorees are some of the world’s greatest women including political activist and scholar Angela Davis (pictured), gospel singer Shirley Caesar, Academy Award-winning actress Taraji P. Henson, WNBA president Laurel J. Richie, actress Tatyana Ali and directors of the Rebecca Project For Human Rights Imani Walker and Malika Saada Saar. The all-female ensemble of performers at the ceremony will include Mary J. Blige, Erykah Badu, Jill Scott, Melanie Fiona, Mary Mary, Elle Varner and Shirley Caesar. While the show will be filmed this weekend, the show will not air until Nov. 6 on Centric and BET. Y’all be sure to check out BGR events if they happen to be in your areas. I went last night and it was a great show!